We had an excellent experience because of Marc Venegoni. I put a "flyer" out on Houzz for a vinyl flooring install need. Out of 6 companies they lined me up with, Marc was the only one to call. He listened to what our needs were (which was of course, "needing it this week"), made time to come out to our site the next morning to get the specifics due to time crunch, had a quote to us that evening, samples to choose from, worked with us to set samples aside, set up an install on our specified day, met us at the site the day of install and followed up accordingly. From start to finish he was professional, efficient, reliable, of high integrity and courteous. It is representatives like him that make this industry a pleasure doing business with. I truly appreciated working with him and will recommend him at any chance I can get. Thank you for having Marc on your team. 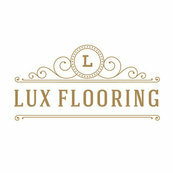 He is an excellent asset to Lux flooring and if I ran Lux, I would give that man a raise!